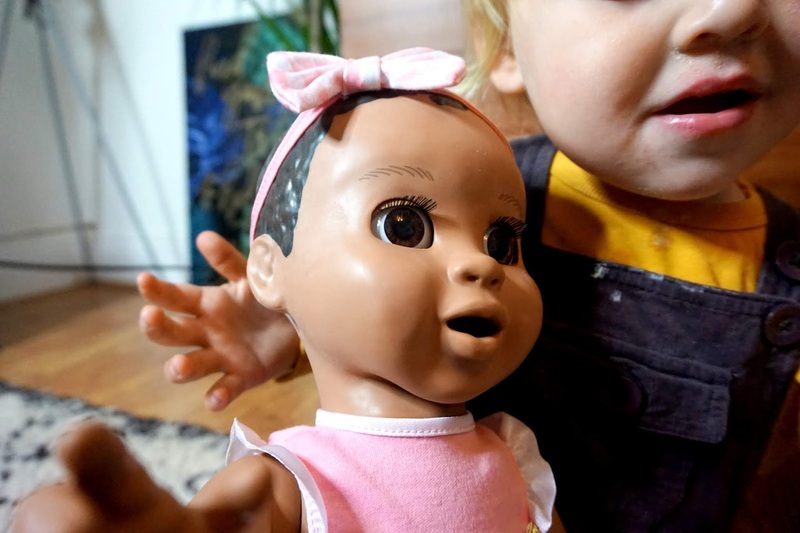 I have had my eye on the Luvabella doll for a long time ever since I saw one at the blogging conference I attended last year. 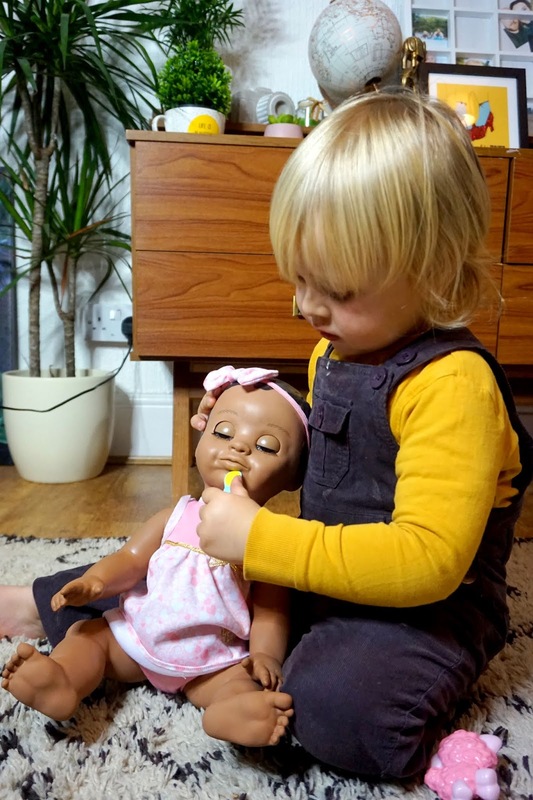 I'm sure you have all heard of this modern real-life like doll, but if you haven't, then Luvabella is a smart interactive doll aimed for children age 4 years upwards. It's also a must-have for Christmas 2018, and it was the previous year too. 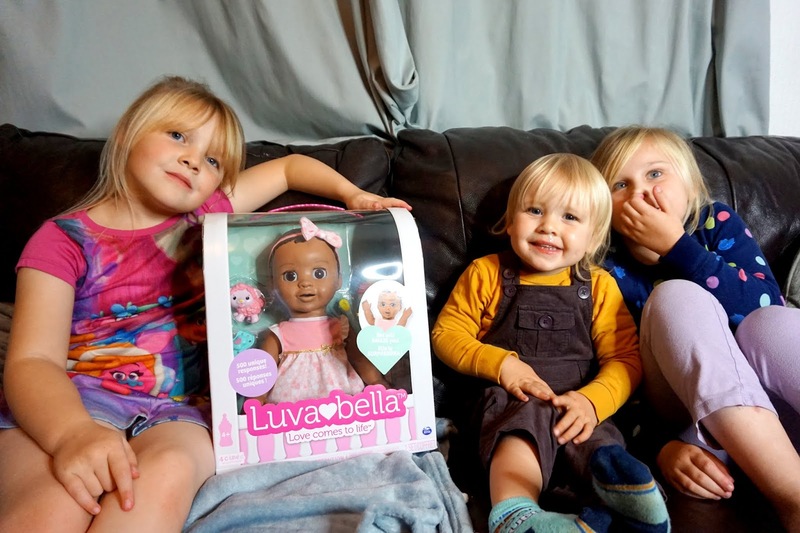 We were kindly sent one of the new updated Luvabella dolls to review and in all honesty, I think I was more excited than the kids. 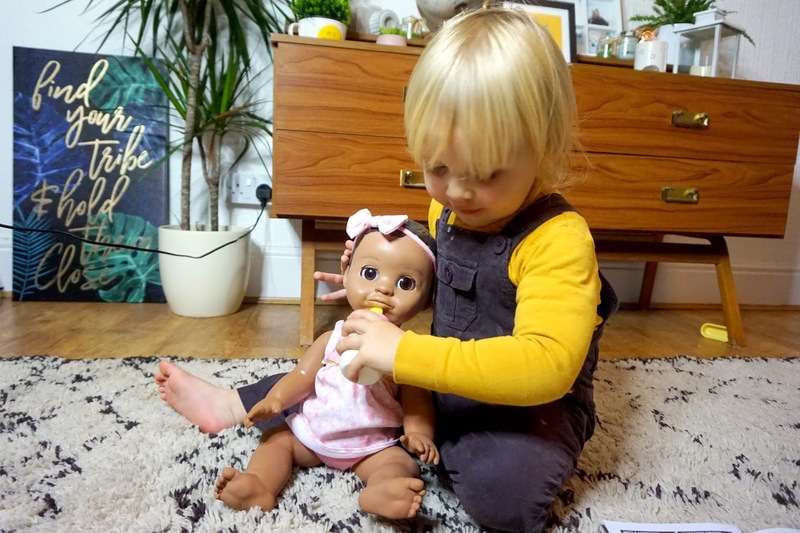 Luvabella is just like a real life baby, and she comes with some accessories: her favourite toy Lamby, dummy, bottle and a spoon. She reacts to all these accessories in different ways. 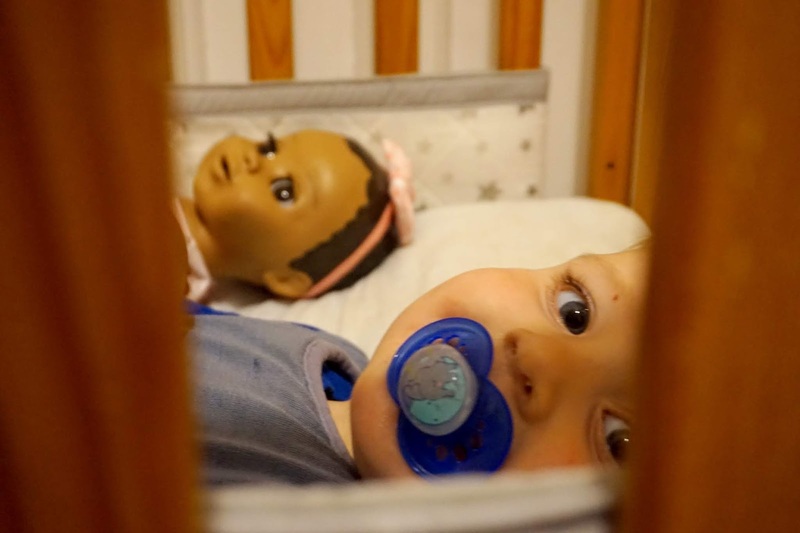 The dummy will soothe her and help her sleep when it's in her mouth. She will feed when you feed her the spoon or the bottle, but she will turn her head if she doesn't want it. She will say the word 'Ahh' and open her mouth if she does want to feed. But after a feed, don't forget to burp her by tapping her back. As time goes by, Luvabella learns over 100 words and phrases, and once she learns all them, you can reset her back to the start - which is great! There are so many surprises with Luvabella, and she will surely be loved so much by your little one. She makes the most adorable and amazing real facial expressions, even closes and opens her eyes. Not only that but she can move her arms and open and close her mouth too. 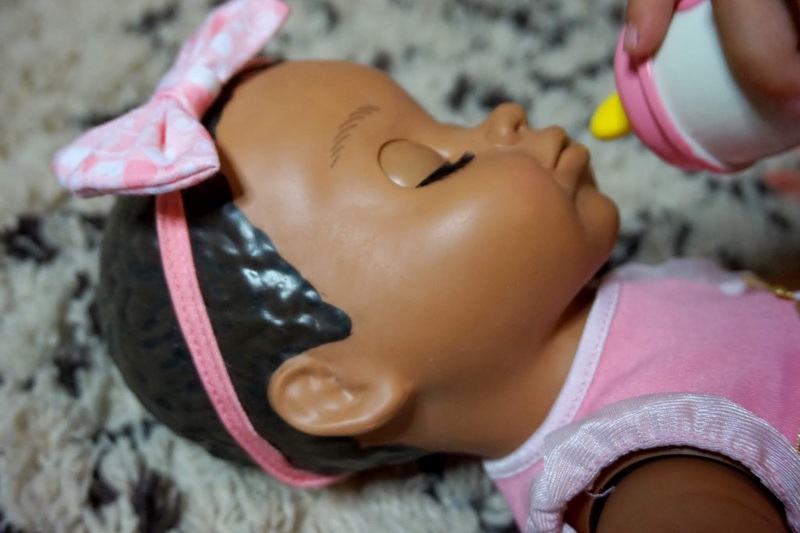 Your little one can rock her to sleep, hear her speak and even play games with her such as peek-a-boo if you cover her eyes, play with her favourite toy, Lamby, and much more. There are hours of fun to be had with Luvabella. There's not precious time like a baby napping for you to have 2 minutes to yourself. Luvabella naps too! 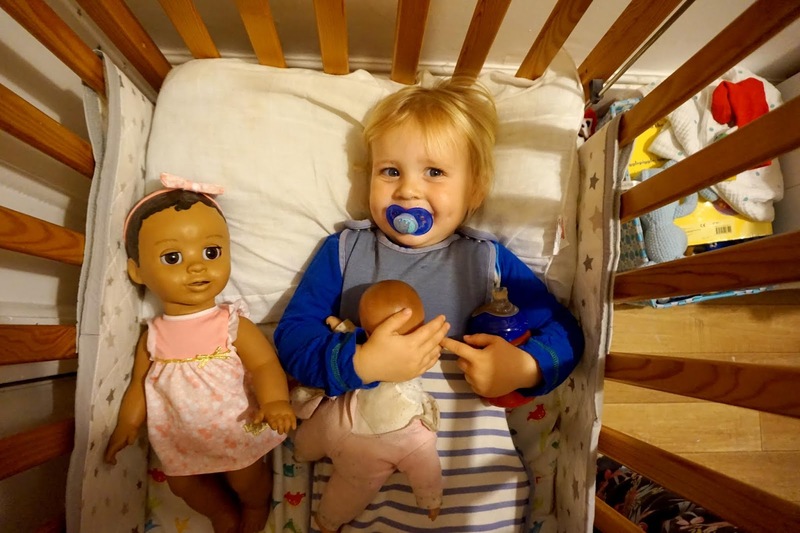 Settle her to sleep by soothing her with her dummy or bottle or/and rocking her. Once she has fallen asleep, you can hear her heartbeat if you put your ear on her chest. She will amaze you and surprise you each time. 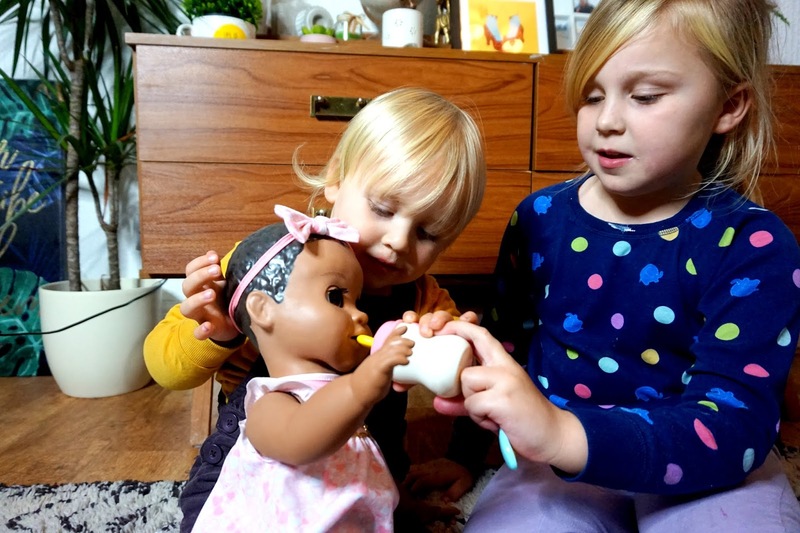 Overall, Luvabella is a very much loved doll and is amazing. There are so many things that Luvabella can do, and each thing will surprise you. 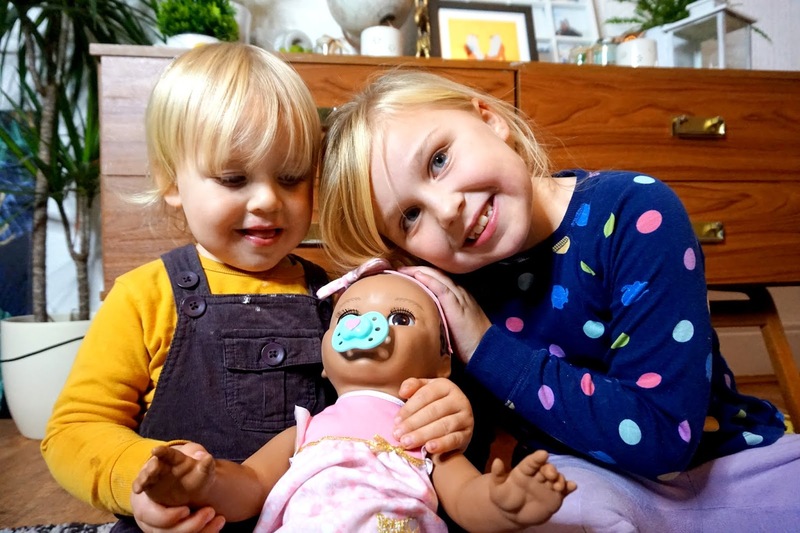 From real expressions to crying and giggling away, your little one is going to love her. I personally think the Luvabella is definitely worth her price tag and is a fab present for Christmas. 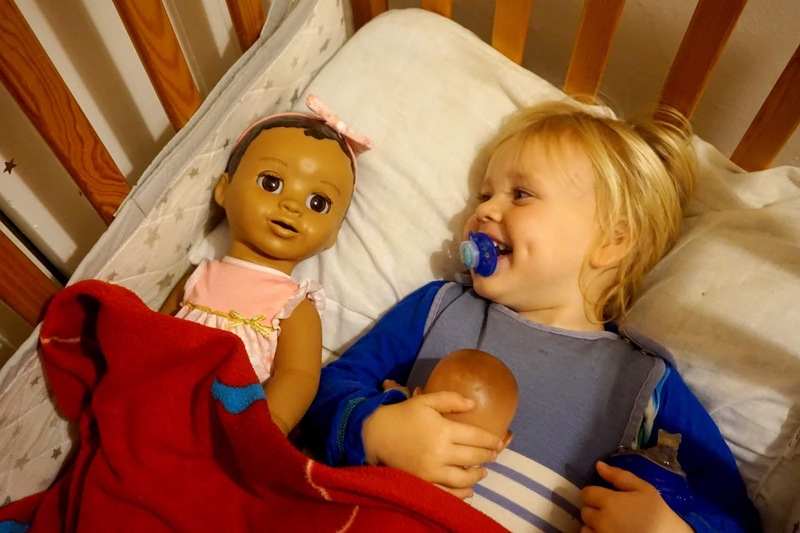 One last thing that I personally loved about Luvabella is you can choose a setting where Luvabella will say Mama or Dada, which makes it perfect for boys and girls. PS. Make sure that you buy some batteries as the batteries are not included. x4 C Cell batteries are needed. * We were kindly gifted this product in return for an honest review. All words, images and opinions are our own.